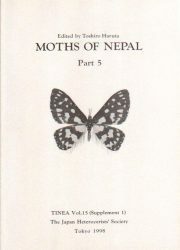 Please contact to the JHS secretary office to order. 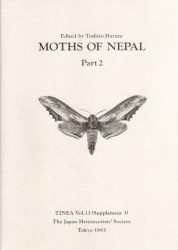 We released PDF of “Moths of Nepal” series. 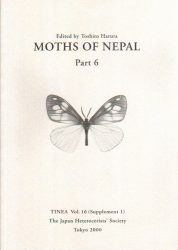 Any electronic versions for other publications are not available. 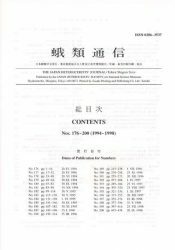 We have no service to provide copies of a specific article. 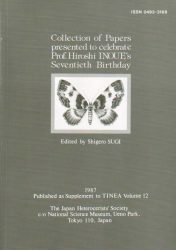 Collection of Papers presented to celebrate Prof. Hiroshi INOUE’s Seventieth Birthday. 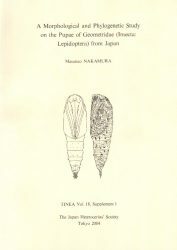 A Taxonomical and Ecological Study of the Winter Geometrid Moths from Japan. 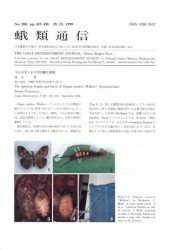 A Morphological and Phylogenetic Study on the Pupae of Geometridae (Insecta: Lepidoptera) from Japan. 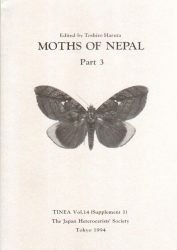 Illustrated and annotated catalogue of the genus Milionia and allied genera (Insecta: Lepidoptera, Geometridae, Ennominae). 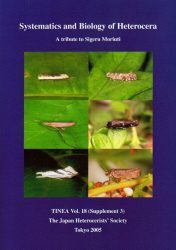 Systematics and Biology of Heterocera / A tribute to Sigeru Moriuti. 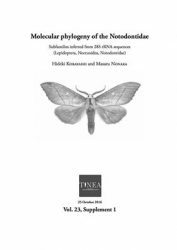 Molecular phylogeny of the Notodontidae. 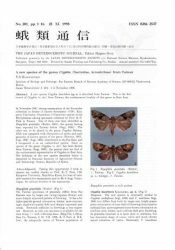 Systematic Check List of the Noctuidae of the Primorye Territory, the Far East of U.S.S.R.
by V.S.KONONENKO, (1990). 40 pages. 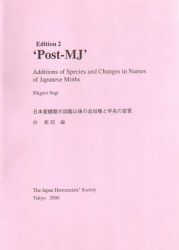 Post-MJ, additions of species and changes in names of Japanese moths, Edition 2. 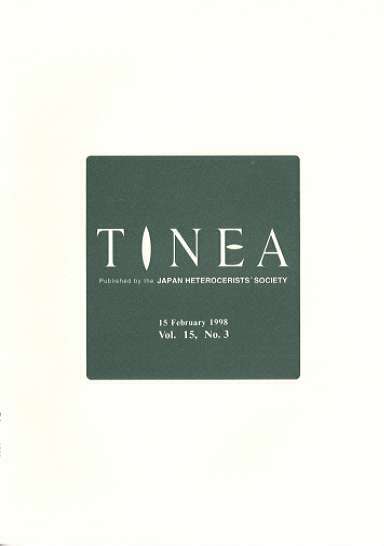 B5, 171pp. 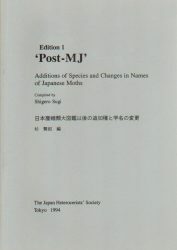 Post-MJ, additions of species and changes in names of Japanese moths, Edition 2, Supplement 1. 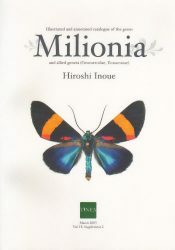 B5, 60pp. 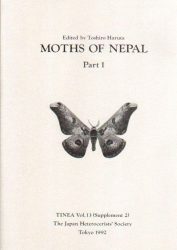 Edited by Shigero SUGI and Utsugi JINBO, (2004). 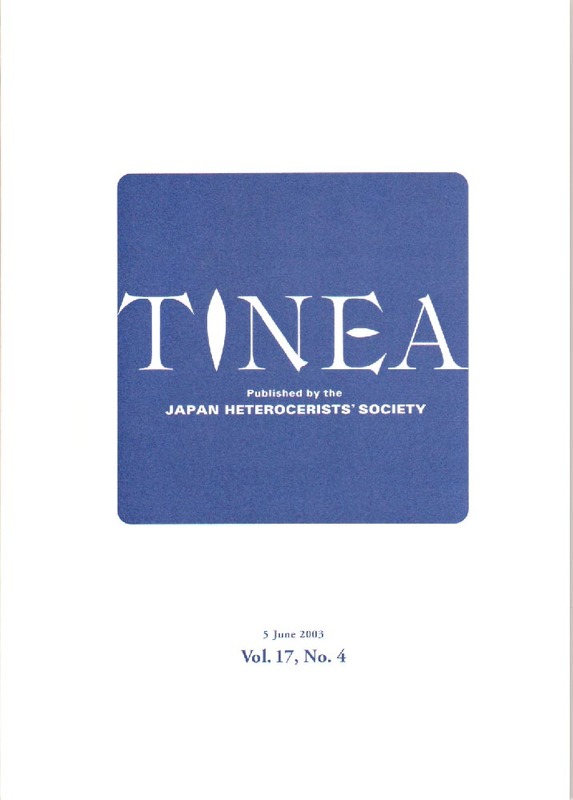 © Japan Heterocerists' Society, 1999-2019, otherwise specified.